For director David Lean’s penultimate film, we turn to 1970’s Ryan’s Daughter. Set in Ireland during the era of World War I, the film introduces us to Rosy Ryan (Sarah Miles), the offspring of local barkeep Thomas Ryan (Leo McKern). Largely because he stimulates her intellect and sense of curiosity, she falls in love with widower schoolteacher Charles Shaughnessy (Robert Mitchum) despite a major age difference. They marry but Rosy soon finds herself bored with the relationship. All of this occurs in a setting of strife. Many Irish resent the continued British presence in their country, and the locals move toward armed rebellion. Into this area comes a new British commanding officer, crippled war hero Major Randolph Doryan (Christopher Jones). Despite his debilitating combat flashbacks, Rosy falls for him and the pair start an affair. The movie follows the Rosy/Shaugnessy/Doryan love triangle as well as the impact it has on the community. And what a community it is! Daughter sure doesn’t paint a pretty picture of small town life in Ireland. These folks are the nastiest, most judgmental crew I’ve seen since Zorba the Greek. They come down hard on anyone who doesn’t fit in and seem like an awfully unpleasant lot. At least they have some character, something I find it tough to claim for the three leads. Daughter works in a funny way since the supporting cast boast much more interesting personalities than the leads. Rosy, Shaugnessy and Doryan come across as varying degrees of dull. Even after more than three hours, the movie doesn’t give us a good look at what makes them tick. Rosy is little more than a generic free spirit, and Doryan is the stereotypical Haunted Soldier. That’s still better than the stalwart but bland Shaugnessy. Mitchum was an odd choice for the role since he usually played tough guys. He does just fine in the part and conveys decent emotion as the wounded husband, but the script doesn’t give him much more than that. On the other hand, the supporting parts demonstrate greater dimensionality. John Mills is especially impressive as the mute, mentally and physically handicapped Michael. I think the movie portrays Michael as too whimsical at times – largely due to some strange musical choices – but Mills turns Michael into a surprisingly rich personality. McKearn is also particularly good as Rosy’s conflicted father. Based on the movie’s length, subject matter and director, one might expect Daughter to become a true epic about war and romance. One would expect incorrectly. This is a very simple tale, which makes its length tough to take. Lean indulges himself with lots of moody, atmospheric shots that may look attractive but that slow down the tale. The film never drags horribly, but the pacing often made me impatient. I suppose the absence of much real historical detail disappoints me as well. I don’t mind the choice to combine the love triangle elements with war, but the movie doesn’t use the latter well. They often feel like token choices used as cheap plot points more than anything else. This means that Ryan’s Daughter often comes across as a Doctor Zhivago wannabe. Both focus on romance during strife, and neither does a lot for me. 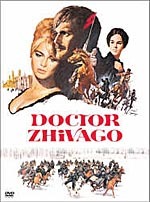 Actually, I prefer Zhivago since it works better as both history and epic. Daughter provides a slow-paced, only sporadically interesting film. Ryan’s Daughter appears in an aspect ratio of approximately 2.35:1 on these single-sided, double-layered DVDs; the image has been enhanced for 16X9 televisions. Other than some minor blemishes, this was a terrific transfer. Print flaws were the only factor that kept this transfer from “A” territory. Though never overwhelming, I saw more than a few examples of specks, marks and grit. I also witnessed an occasional hair or streak. Otherwise the image was outstanding. Virtually no problems with sharpness occurred. The movie consistently looked crisp and well-delineated. No signs of jagged edges or shimmering materialized, and only a sliver of edge enhancement was apparent. As befit the overcast Irish setting, colors looked low-key. They were always as full as the cinematography demanded, though, and they appeared very solid. The occasional brighter hue – such as from Rosy’s symbolic red garb – appeared vivid and rich. Blacks seemed dark and full, while shadows usually came across well. Some “day for night” shots were a little murky, but they didn’t cause substantial problems. Despite some source defects, I felt very pleased with this transfer. In addition, the Dolby Digital 5.1 soundtrack of Ryan’s Daughter was satisfying. The scope of the soundfield impressed. Music always showed nice stereo imaging, and effects broadened matters well. Atmospheric elements popped up from their appropriate spots, and the louder elements were quite involving. Those came from shots of crashing waves and also from Doryan’s war flashbacks. These scenes used the surrounds to nice effect and added a layer of immersiveness. Given the age of the material, audio quality seemed strong. Speech sounded fairly natural, and I noticed no distortion or problems. The music appeared lush and lively, while effects were concise and clean. They presented good range when necessary; the aforementioned battle and sea sequences offered powerful low-end response. This was a more than competent mix for a 36-year-old flick. As we head to the set’s extras, we begin with an audio commentary. This includes remarks from director’s widow Lady Sandra Lean, actor’s daughter Petrine Day Mitchum, actor Sarah Miles, assistant director Michael Stevenson, second unit director Roy Stevens, art director Roy Walker, assistant editor Tony Lawson, location manager Eddie Fowlie, stuntman Vic Armstrong, biographer Stephen M. Silverman, and filmmakers John Boorman, Hugh Hudson and Richard Schickel. Walker and Stevens appeared to chat together, but everyone else sat alone for this edited piece. I can attach only one negative to this commentary: despite the long roster of participants, we find a bit too much dead air. Otherwise, it’s a delight. It pulls few punches as it delivers both the good and the bad of the film and those behind it. We learn nice nuts and bolts details as well as quite a lot related to problems that came along the way. I especially like the comments about how critics savaged the film and the ways that this affected Lean. The track offers a terrific view of the production and covers all the areas well. DVD One includes two trailers for Daughter. The “Announcement Trailer” seems more interesting since it hearkens back to Lean’s prior successes and also includes some shots from the set. Moving to DVD Two, we get a “35th Anniversary Documentary” entitled The Making of Ryan’s Daughter. Split into three parts, it runs 62 minutes, 51 seconds all together. It presents movie shots, archival materials, and interviews. We hear new material from Silverman, Miles, Sandra Lean, Stevenson, Fowlie, Walker, Stevens, Mitchum, Hudson, Lawson, Armstrong, Boorman, Schickel, actor John Mills and composer Maurice Jarre. 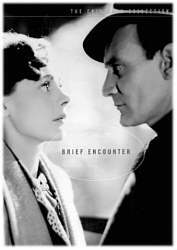 In addition, we get old clips from Mills, director David Lean, screenwriter Robert Bolt, director of photography Freddie Young, and actors Trevor Howard, Leo McKern and Robert Mitchum. The first segment of “Making” looks at the success of Doctor Zhivago and how Lean chose its successor, the story’s development and the interaction between Bolt and Lean, shooting in Ireland and set design, cast and performances, and various storytelling choices that finish with the movie’s intermission. The next part goes into story issues during the second half of the film such as the dream sequence and the storm scene as well as the movie’s ending. For the final sequence, we cover editing, sound design, music, the film’s reception, and valedictory thoughts about the flick and its director. On its own, this proves to be a good documentary. However, it becomes significantly less valuable if you already listened to the commentary. It covers most of the same topics along with many others. In many ways, “Making” feels like a truncated version of the commentary. It’s good that it has the visual elements and the clips with the folks who don’t appear in the commentary, but I don’t think we get a ton of fresh information here. Two “vintage documentaries” follow. We get We’re the Last of the Traveling Circuses (19 minutes, 57 seconds) and Ryan’s Daughter: A Story of Love (6:12). These include notes from David Lean, Robert Mitchum, Miles, Mills, Howard, McKern, Bolt, Young, Stevenson and Stevens. “Circuses” looks at story, characters and performances, the script and collaboration between Lean and Bolt, visuals, photography, and other technical topics, extras, and general notes about the shoot. “Love” offers a basic synopsis of the movie along with some details about the location. Neither gives us any new information, but they’re worth a look for their footage from the set. It’s nice to get so much archival material. 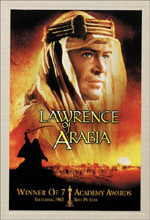 Since I count Lawrence of Arabia as one of my favorite films, it comes as a disappointment to find a David Lean flick as dull as Ryan’s Daughter. Lovely to look at but bloated and thin, the movie runs too long and offers far too little interesting material. The DVD is a winner, though, as it presents very good picture, audio and extras. Fans of Daughter will embrace this strong DVD but I can’t recommend it to others.